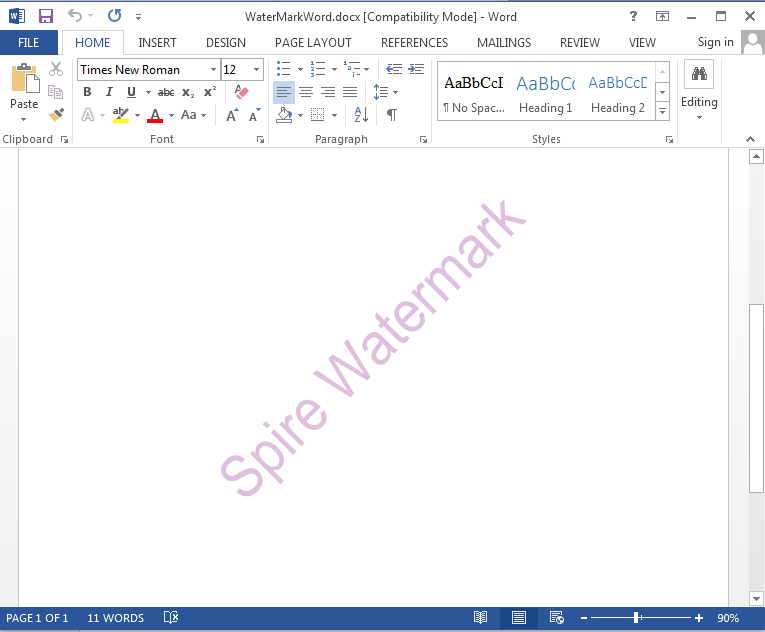 Free Spire.Doc for .NET is a Community Edition of the Spire.Doc for .NET, which is a totally free word component for commercial and personal use. 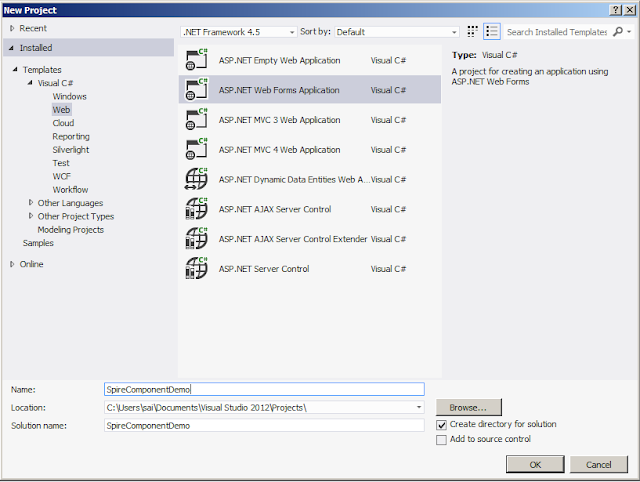 As a free C#/VB.NET component, it also offers a lot of powerful functions. 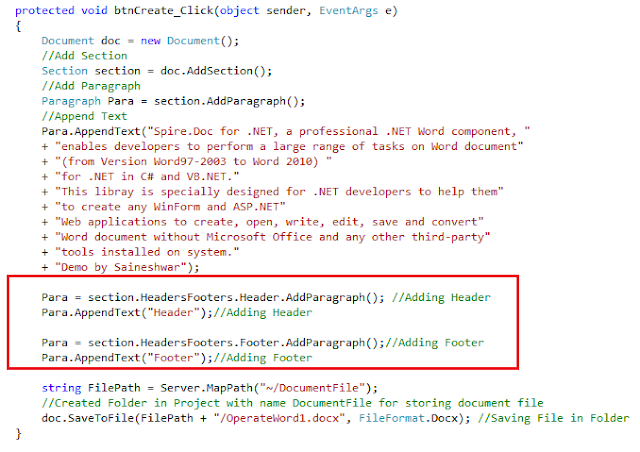 Developers can use it to generate, read, write, save, print and convert documents on any .NET applications. 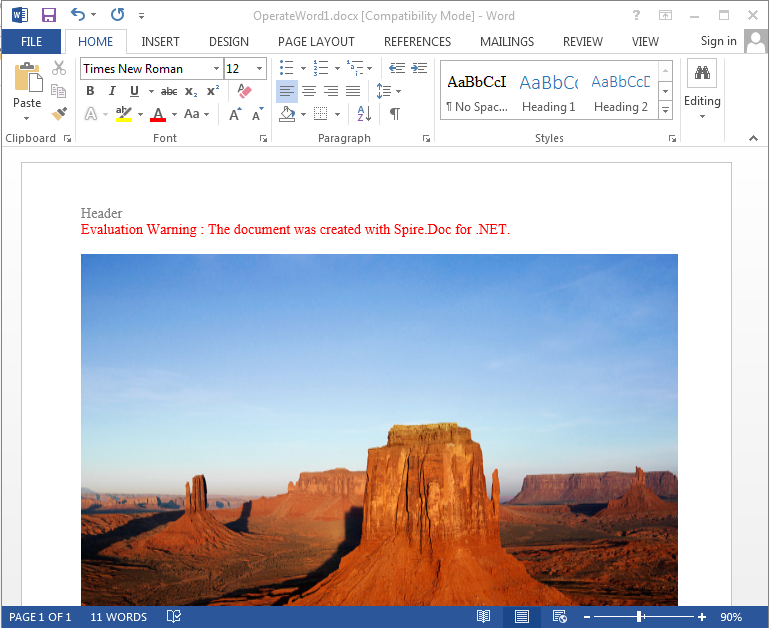 The featured function, conversion allows converting Word documents (Word 97-2003, Word 2007, Word 2010, word 2013) to commonly used file format, such as XML, RTF, TXT, PDF, XPS, EPUB, HTML and Image etc. 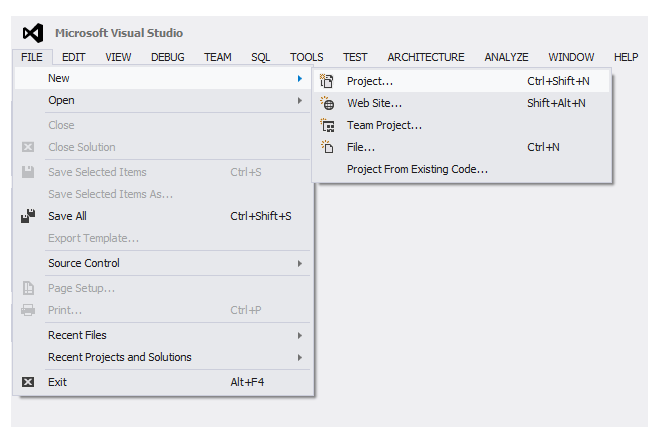 We are using Visual Studio 2012. 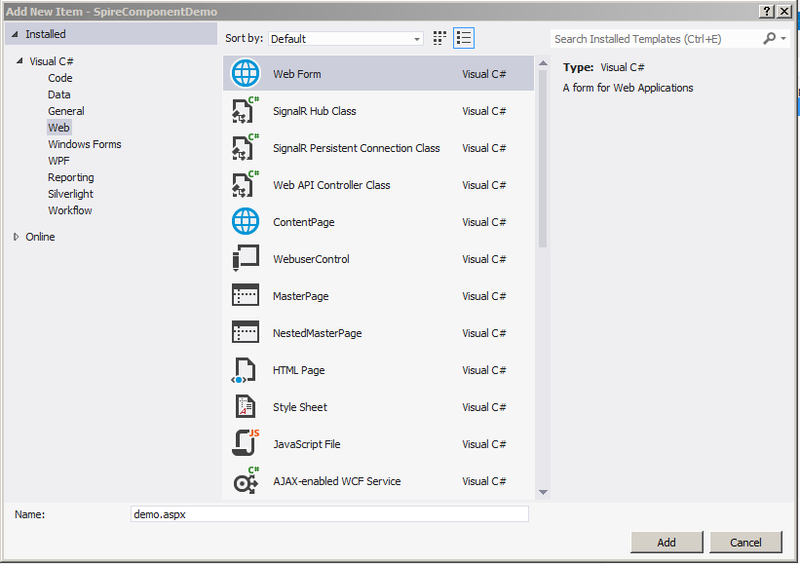 Let’s start with creating a new project in Visual Studio 2012. 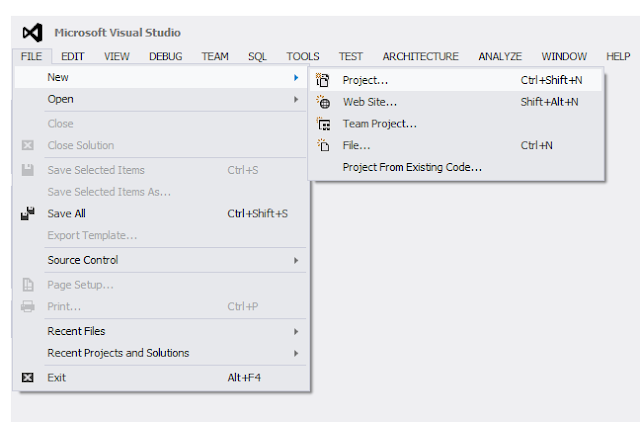 For creating new project from Visual Studio IDE first select File Menu  then inside that select New  and then finally select Project. After selecting Project from Menu a new dialog will pop up with Name New Project. Inside this dialog we are going choose template for doing that we going to select Templates Menu from left side of dialog just below Installed Templates after selecting Templates it will expand in that we are going to select Visual C#  inside that finally we going to select Web Templates. 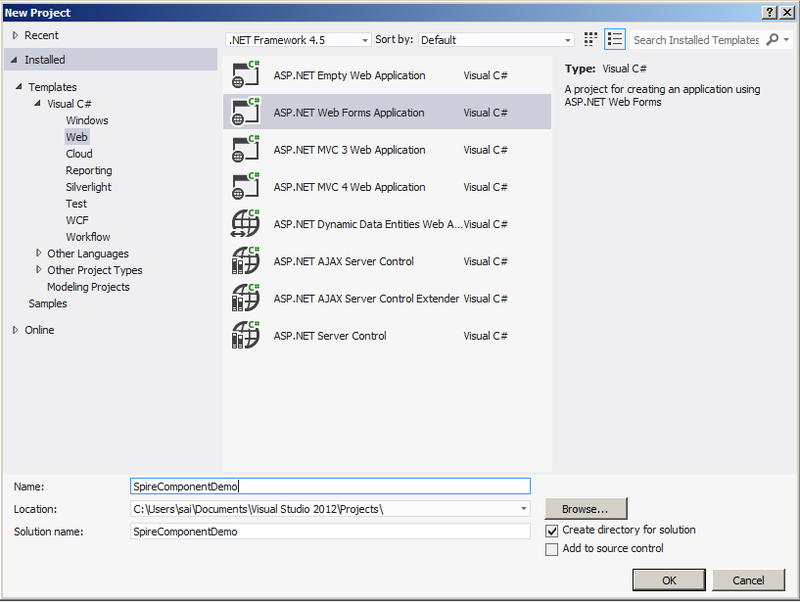 After choosing Web in Middle panel you will find all different Web templates available in ASP.NET. In that we are going to choose [ASP.NET Webforms Application] and .Net Framework 4.5. 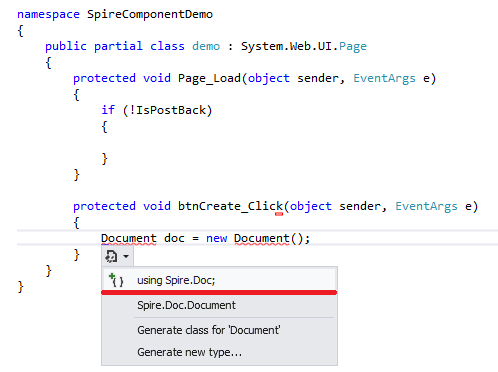 At last we are going to name project as SpireComponentDemo and click on OK button. After project creation below is view of Project which is created. Fig 3. Project View after adding. 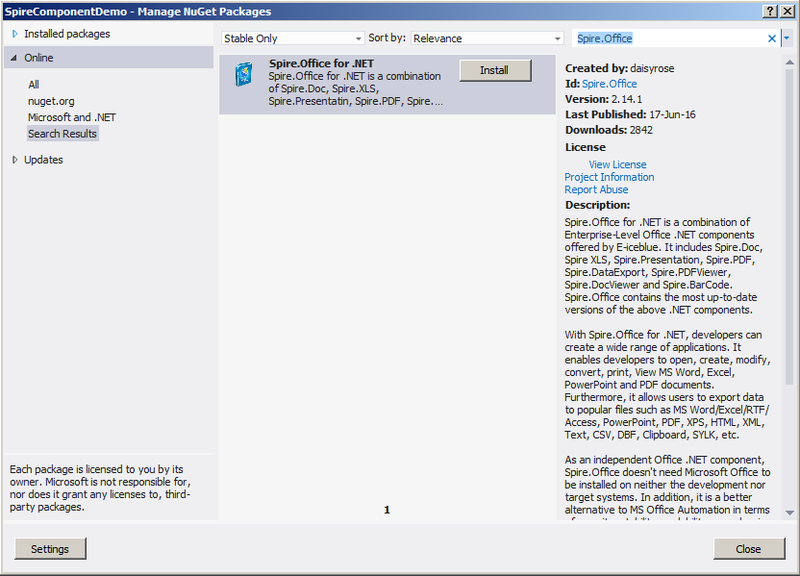 Fig 4.Adding Spire.office component from Package Manager Console. 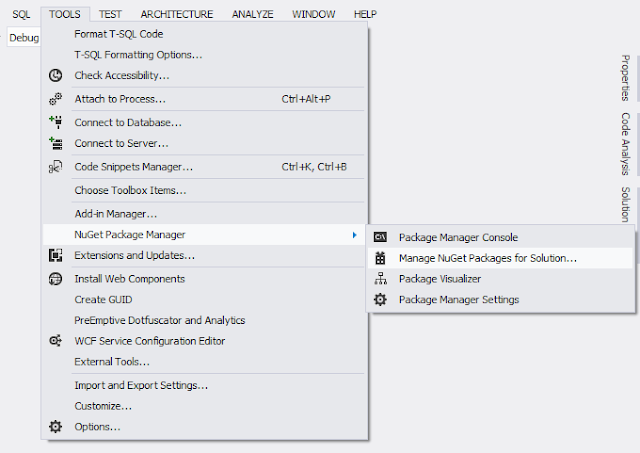 For adding component from Manage NuGet package from Visual studio IDE select Tools  then NuGet Package Manager  Manage NuGet packages for solution. 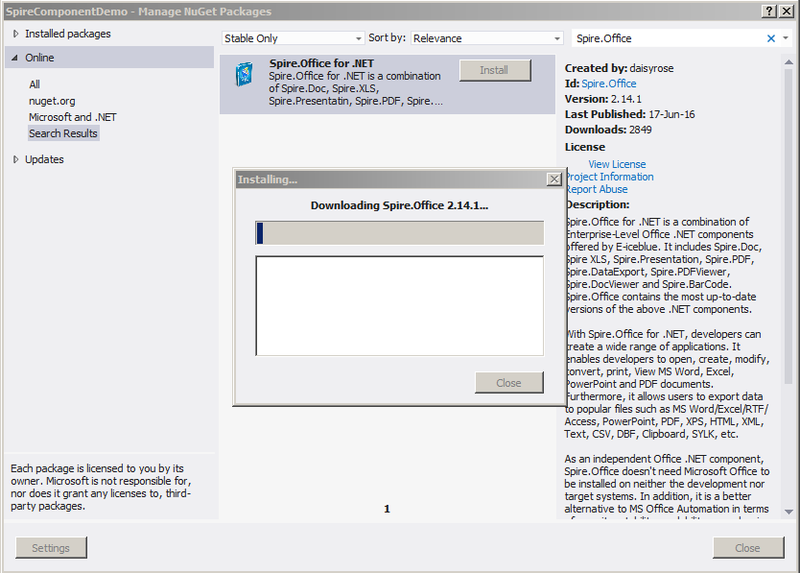 Fig 5.Adding Spire.office component from Package Manager Console. After selecting Manage NuGet packages for solution a new dialog will pop up as show below. Fig 6.Adding Spire.office component from Manage NuGet packages. 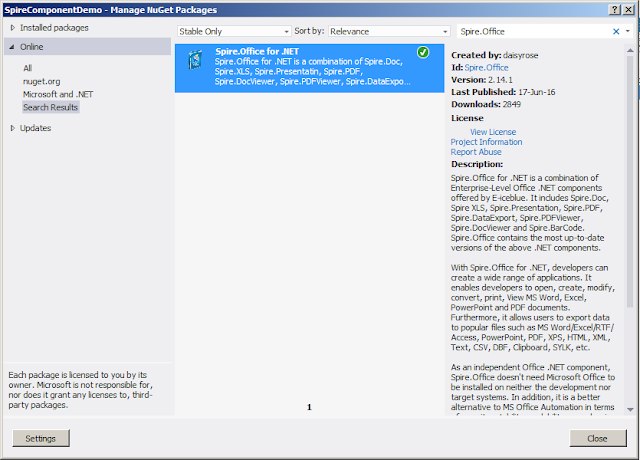 After that in search box of Manage NuGet packages dialog enter [Spire.Office] after entering in middle panel you will see [Spire.Office for .Net] with Install button just click on Install button . Fig 7. While downloading Spire.office component from Manage NuGet packages. Fig 8. 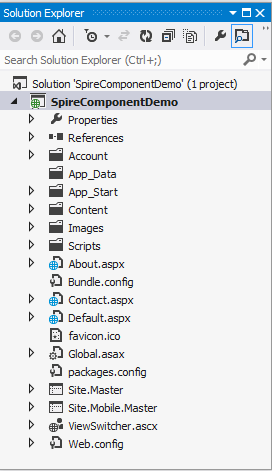 After downloading Spire.office component from Manage NuGet packages. 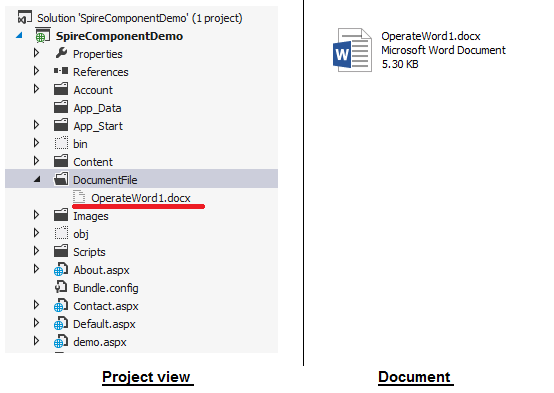 After installing the reference of [Spire.Office] you can see reference added to your project. Fig 9. Referencing added after downloading Spire.office component from Manage NuGet packages. After installing and viewing reference now let’s add a simple webpage to Project. Fig 10. Adding New Web form. 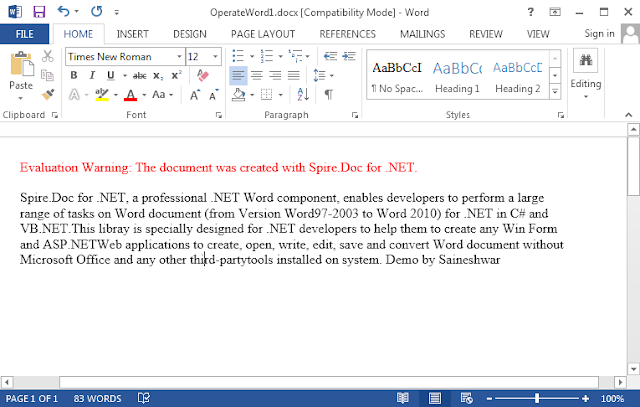 After adding page now let’s Create, Write and Save Word in C# Using Spire.Doc Components. Fig 11. Adding button on demo.aspx Web form. After adding button now let’s write code for Create a Word Document file from using Spire.Doc Components. Fig 12. Code for accessing spire components. After adding Text which you want now we need to save this document file to folder for doing this I have added Folder name DocumentFile in Project and using doc.SaveToFile to save to this document file to folder. Fig 13. Project view after creating Word Document File in Folder. Fig 14. 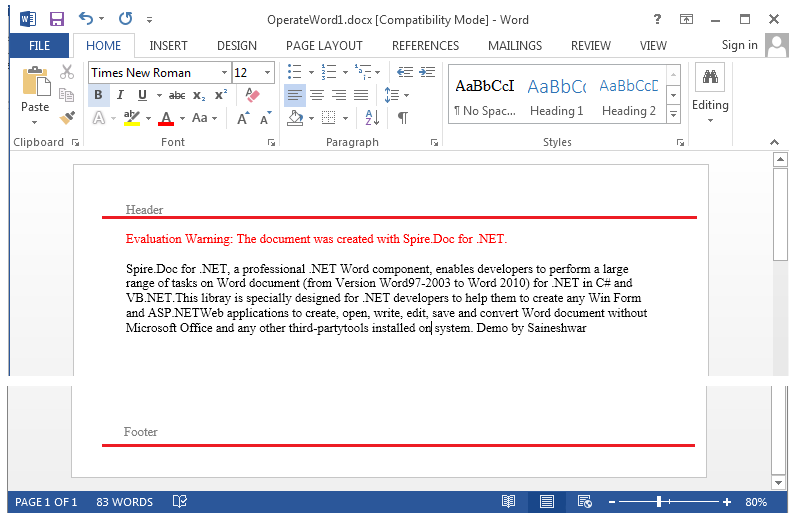 Output after creating Word Document file using Spire Component. In this part we are going to add header and footer to document which we are creating. Fig 15. 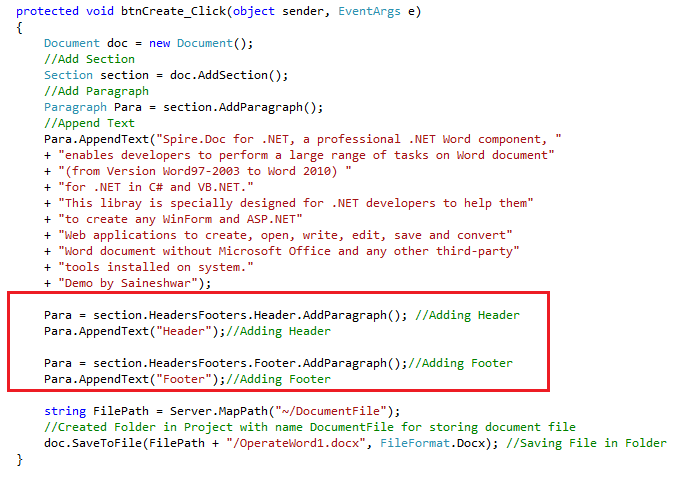 Code for adding Header and Footer to Word Document file. Fig 16.Output after adding Header and Footer. For adding Image in document file we are going to create a new Paragraph after that to add image in document file we need image that must be stored in our Project folders meanwhile I have few images stored in Images folder which I am going to use for adding in document file. Then assigning image to DocPicture Class and finally setting width and height of Image file. Fig 16.Output after adding Image to Word Document file. For adding Text Watermark we need to create object of TextWatermark class then we can set properties such as (Text, Font size, Font Name, Layout, Color). 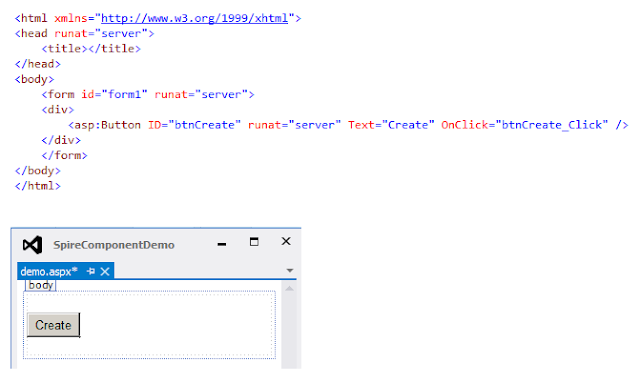 In below code snippet I have created an object of document class then added Section to document and assigned section to paragraph after that adding TextWatermark class we are going to set properties of TextWatermark class. First we are going to set Text properties the text which is set as watermark. Assigning Watermark class to document. 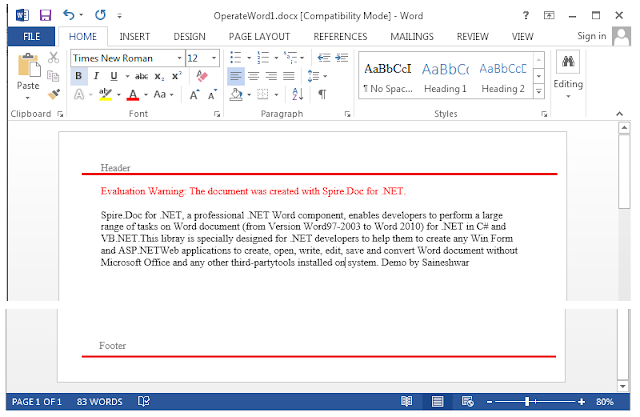 Fig 17.Output after adding Text Watermark to Word Document file.